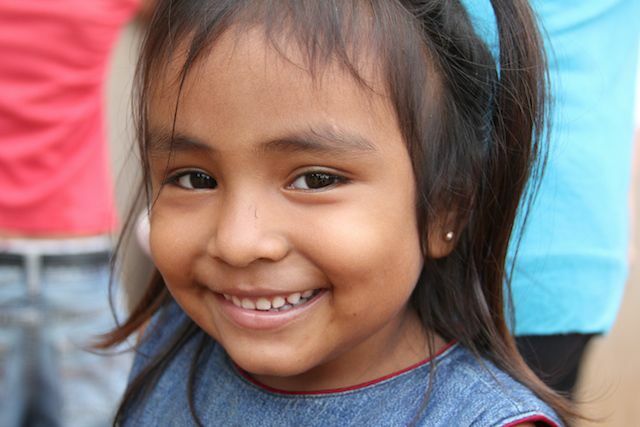 2013 marked our 22nd year of outreach to millions of impoverished people around the globe. It was a year characterized by growth, promise, and possibility. A year that mattered. A year that changed the world. Our international projects, a strong family of supporters and partners, produced incredible transformation, saving lives and inspiring hope in people and communities affected by unimaginable poverty and heartache. 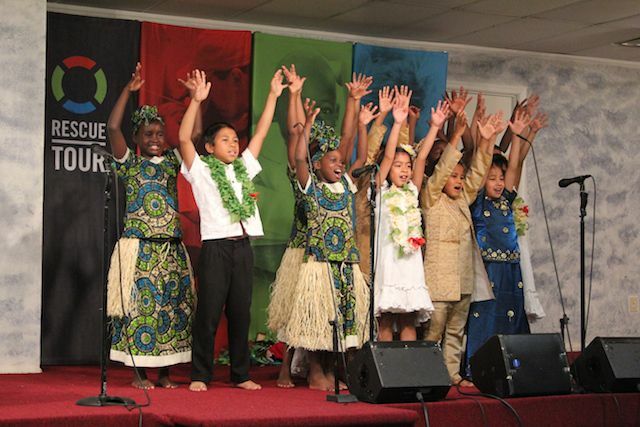 God enabled us to impact 2,741,845 people around the world in 2013 . . . a legacy that will impact eternity. What we do is important, but why we do it is even more crucial. Why have I dedicated my life trying to bring help and hope to people in need? Why do World Help’s partners and staff work tirelessly around the clock to see that our programs are efficient and effective? Why do you—our greatest source of encouragement and support—invest in the development of our programs? 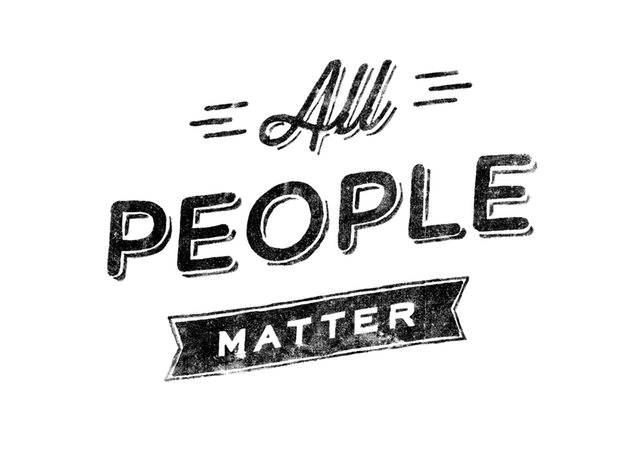 The answer is simple: all people matter. All people matter to God; therefore, they should matter to us. He hears the cries of babies and the prayers of old men. His heart breaks for the orphan, the persecuted, the outcast, and the vulnerable. The lonely and abandoned— those invisible and forgotten by the world—are never out of His sight. God cares deeply for the least of these, and that should capture our attention, our time, and our hearts. The order of these questions is critical. Sharing the Gospel with people—the most important task—is what we do after showing true compassion in action: a package of rice and beans for a starving family, medicine for a dying child, clothing for refugees in the dead of winter. We have seen the incredible effect time and time again: Meeting someone’s immediate physical needs opens doors for the Gospel to be shared . . . earning us the right to be heard. 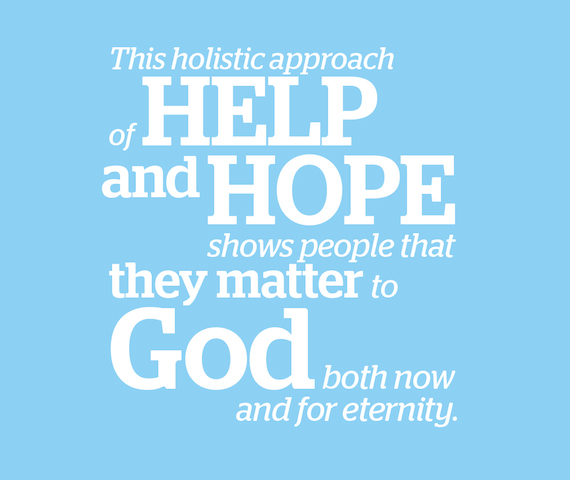 We believe this approach honors God and paves the way for genuine, lasting change— both inside and out. A timely and effective response is absolutely essential in an effort to save lives. Our global network of aid workers and distribution experts are strategically positioned to provide immediate support to those affected by disaster or conflict. Each intervention is designed to give life-saving assistance through temporary provisions, with plans to foster long-term solutions for progressive community restoration. On November 8, 2013, the largest tropical storm ever recorded made landfall in the Philippines, claiming the lives of more than 6,000 people and wiping entire communities from existence. Millions have fled to escape the slaughter that has already claimed the lives of more than 100,000 innocent civilians. As the struggle for power continues, a humanitarian disaster is growing. 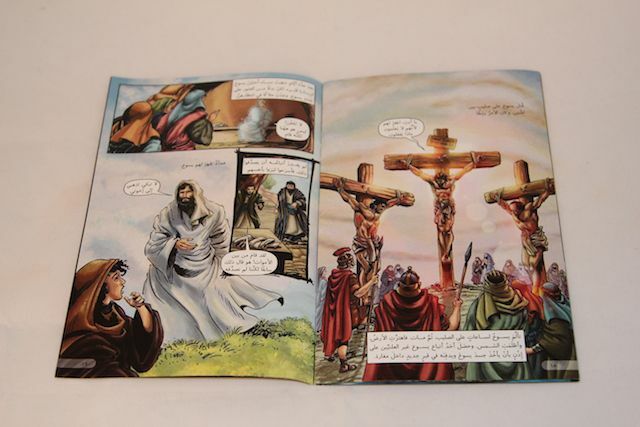 As a part of our ongoing mission to bring the love of Jesus to these war-torn areas, God led us to provide Arabic children’s storybook Bibles. In 2013 alone, 250 ,000 storybook Bibles were funded through our donor family. Each day, over 842 million people—most living in the developing world—go to bed hungry. Hunger is ruthless and indiscriminate, killing more people every year than AIDS, malaria, and tuberculosis combined. We’ve established feeding centers in key areas where the hunger epidemic is extreme. Offering regular, nutritious meals to these families and children has kept thousands from starving needlessly. Just outside of Zacapa, Guatemala, there is a trash dump where surface fires smolder day and night. It is dangerous, ungoverned, like a flickering scene from a nightmare. 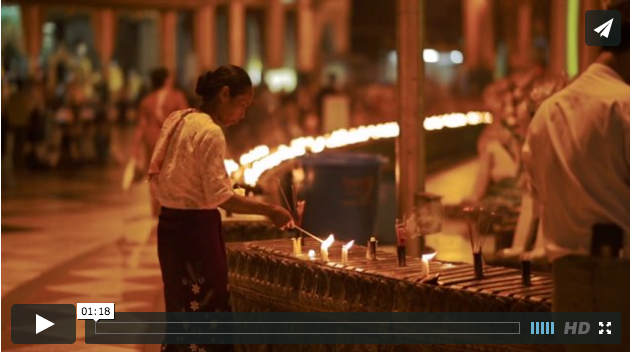 It is also home to hundreds of impoverished Guatemalans . . . and one of World Help’s largest feeding centers. Six times a week, men, women, and children gather for nutrition-filled meals, clean water, and support from World Help partners. For the majority of them, these are the only meals they eat. I saw everyone covered in soot . . . the little children taking care of themselves as the parents and older siblings dig through trash. There is little or no water and there is no place for the mothers to cook food for their family. There is nothing in place for these families to make a better future for their children. Our partner shows up every Monday, Wednesday, and Friday . . . no matter what. It gives people hope—hope that someone cares for them and that they will be taken care of. 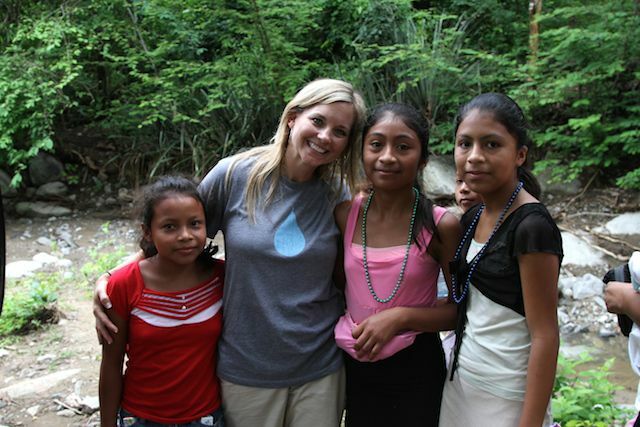 — Travel Director Khristina Kanagy on a recent visit to one of our Guatemalan feeding centers. At times, the battle against malnutrition, hunger, and disease becomes far too much to bear alone. For children fighting against these ailments, opportunities for help are often few and far between. Some have parents who, despite their best efforts, cannot adequately provide for their children. In other cases, babies are born to frightened teen mothers who are unprepared to receive them as gifts. For all of these children within our reach—children struggling to survive in remote Mayan villages in Guatemala, poverty-stricken shanty-towns of Haiti, and the streets of Uganda’s most notorious slums— restoration and hope is possible through rescue. It seemed that poverty and destitution had set out to rob the world of Jenifer’s life. Born into an impoverished village without access to basic resources, the odds of Jenifer’s survival were small to begin with. Then, at only 13 months, she fell unexpectedly into a water basin. Minutes passed before she was discovered completely submerged in the basin, lying terrifyingly still. 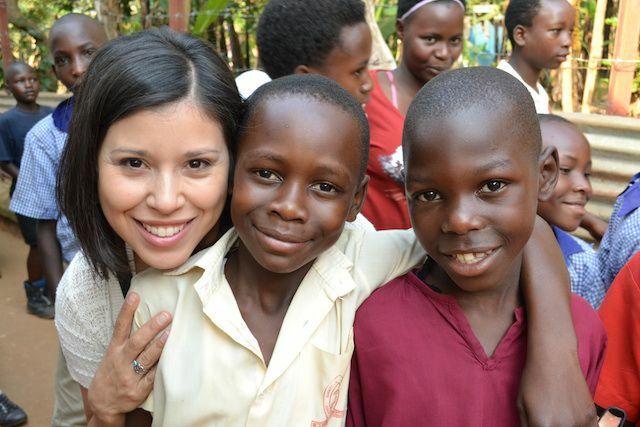 Rushed by her mother to the nearest hospital, Jenifer was miraculously revived . . . but something was terribly wrong. In the minutes she went without oxygen, Jenifer suffered severe brain trauma, leading to cerebral damage. She would be unable to speak, walk, or even eat on her own. The impoverished conditions in their rural mountain village only confounded the effects of her disability. To her mother’s disbelief, Jenifer’s frail body began to shrink more each day . . . her breathing grew shallow, and her expression became distant and unresponsive. The desperation in her mother’s tear-filled eyes communicated all that was necessary at the doorstep of the Baby Rescue Center. 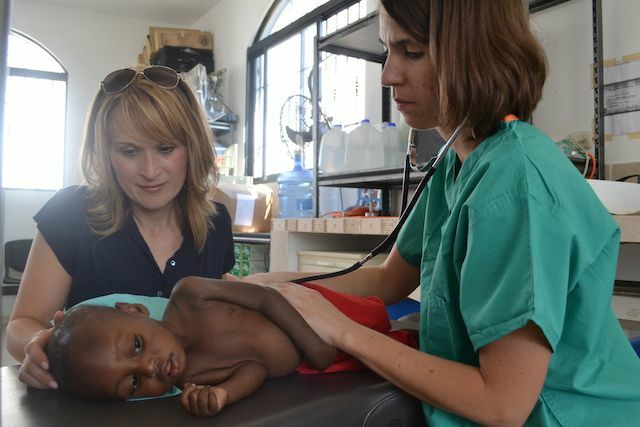 Without hesitating, the rescue staff took Jenifer’s motionless body from her mother’s arms and began to administer treatment for severe malnutrition. Today, Jenifer is a beautiful 2-year-old girl with joy quickly returning to her eyes. 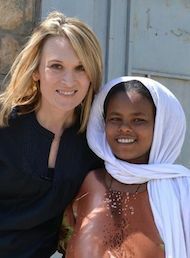 Although she will continue to face the hardships of her disabilities, Jenifer is an example of the value of life and the role we must continue to take in restoring health and hope. 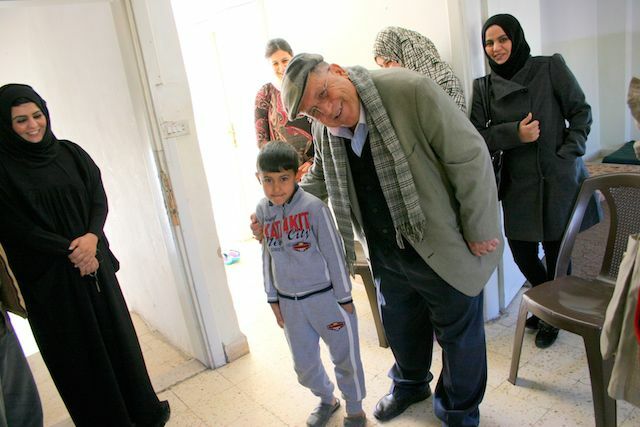 The unequivocal generosity of our donors enabled us to procure and ship thousands of units of clothing, food, and medical donations to people in the midst of conflict or economic shortages, saving and enriching countless lives along the way. 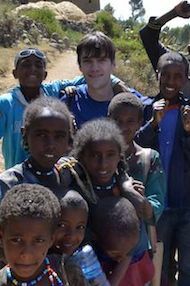 Through gifts-in-kind donations, federal and excess property grants, and other established shipping programs designed to offer practical assistance to overseas locations, we have made considerable contributions to the needs of our international programs without incurring significant cost. The efficiency of this program alone allows us to bring temporary relief in times of crisis without impeding the growth of sustainable, long-term initiatives. Investing in long-term solutions for change is World Help’s ultimate goal for every project and program. Biblical training, increasing childhood access to education, and opportunities for adults to benefit from vocational programs, are just some of the initiatives that allow families to play an active role in lifting themselves from poverty.  Educated individuals have what most in the developing world lack: options . . . and rekindled hope for a better and brighter future. Enabling young people to thrive through educational opportunities is perhaps one of the most effective strategies for alleviating generational poverty. Oftentimes, children from impoverished backgrounds lack the basic capital to even enter school.Tuition fees, uniforms, and the costs of acquiring school supplies tragically sidetrack willing students from the halls of learning every day. We desire to reverse this debilitating trend by breaking the cycle of poverty . . . one educated child at a time. Outside of the leper colony, no would look Ravi in the eyes. His parents had been covered in pale sores for as long as he could remember. 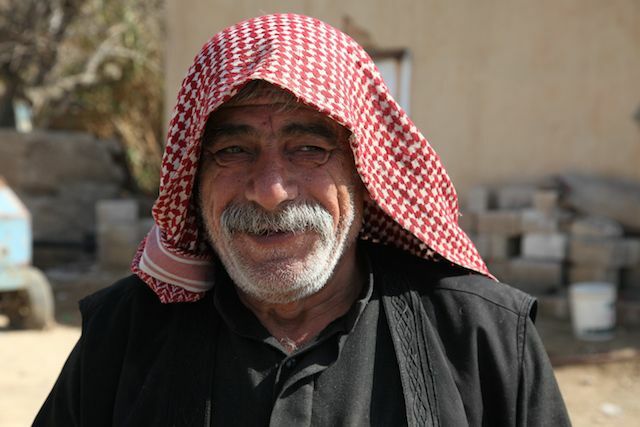 By the time he was 5 years old, they no longer had the strength to leave their dilapidated home. Leprosy had cast a dark shadow on his life and it seemed there was no way out. 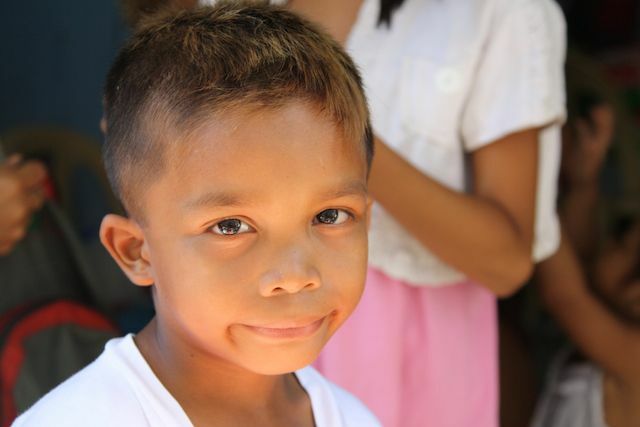 Ravi wasn’t sick like his parents, but he was continually shunned and ostracized by others. Eventually, he learned that he was unfit for society . . . and no one expected anything to become of him. However, in 2009, Ravi became a student at Abundant Life Children’s Home where he encountered the truth of his worth and potential. At first, he struggled to believe in himself, but with time and steady support, his confidence started to grow. In 2013, Ravi earned a 98 percent in his science class—the highest score he’d ever received—and his teachers are confident this is only a glimpse of the exceptional student he will become. Through education, Ravi now has the power to develop emotionally, spiritually, and intellectually. Today, Ravi’s eyes no longer hold the weight of an outcast, but wrinkle with his bright smile and the joy of being an active participant in society. And no doubt, he will become a well-equipped advocate for his broken community one day. Conflict, displacement, disease, abject poverty, and other extenuating circumstances have robbed many of the chance to regularly attend school during their childhood years. These children grow up into adults who have no other choice but to work in unskilled, low-paying positions. World Help chooses to take the approach of sustainable investment by giving uneducated adults a chance through a spectrum of vocational-training opportunities. Graduates of these programs go on to be successful seamstresses, welders, beauticians, and experts in the culinary professions. This strategy produces something much more valuable than temporary help . . . it upholds the dignity of individuals who—like each of us—long to participate in meaningful work. Like many of her peers, Jennifer’s story is a complex but beautiful thread woven into Uganda’s intricate tapestry of hope. Abducted as a child by the Lord’s Resistance Army, she was left with a shattered childhood and little schooling, followed by an early marriage that produced three children. 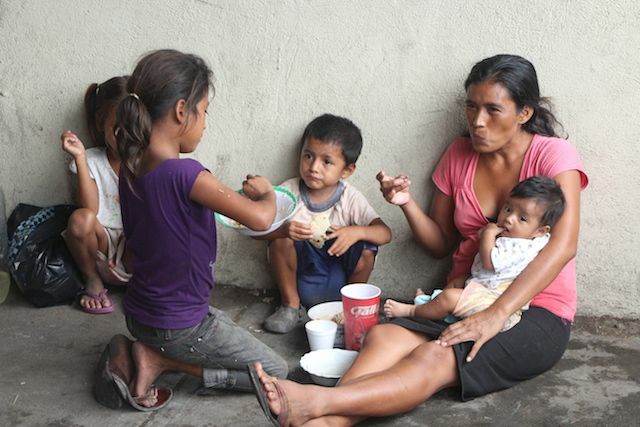 Her husband—an alcoholic—abandoned Jennifer and their children, leaving her with no income to survive. Stripped of everything, she couldn’t remember what dignity felt like. 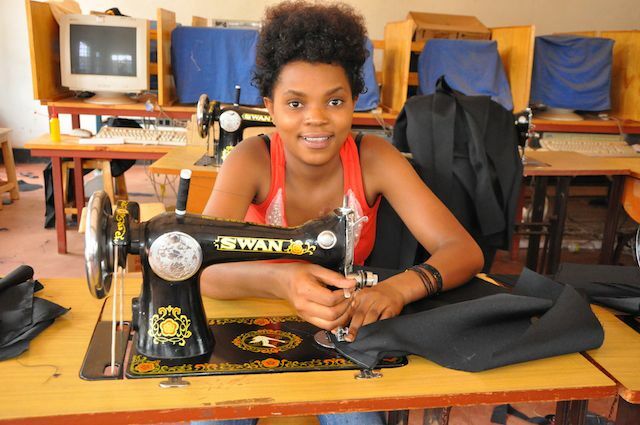 After being provided with a scholarship to a World Help sponsored vocational school, Jennifer worked to earn her tailoring degree. It was within those classroom walls where she found healing, laying claim on her gifts and abilities. Today, she runs a tailoring co-operative with three other women. Her children are well-fed and excel in school. She doesn’t fear the future . . . dignity is hers. The journey of sponsorship is a two-way street, the cultivation of a meaningful relationship between a sponsor and a child that develops a strong, lasting bond. Relationships require trust, and they require giving—giving of time, communication, understanding, as well as plenty of emotional and spiritual energy. This continual investment by our sponsors produces radical change in the lives of thousands of disadvantaged boys and girls . 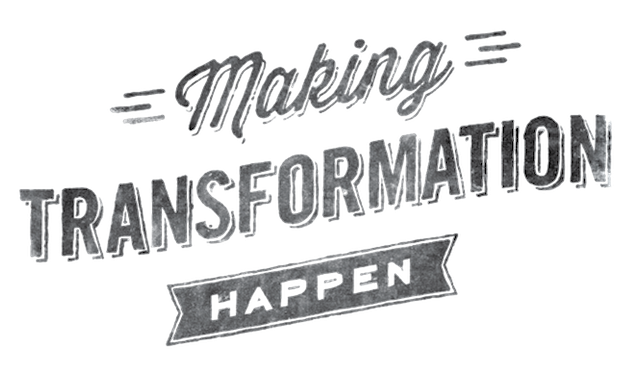 . . the priceless gift of transformation—body, heart, mind, and soul. Cristian is one of three children living in an area where crime and poverty keep most young people from ever living out their full potential. When Cristian’s father abandoned the family, the sole burden of provider fell to his mother who worked as a maid in town. Cristian and his siblings went to live with their grandmother, enabling his mother to work extra hours to make ends meet, and yet, the family struggled greatly. There was no extra money for school, medical care, or even regular meals. When Deana Frye began sponsoring 12-year-old Cristian from Honduras, everything began to change for him. In his first letter to Deana in 2010 he wrote, “I greet you with lots of love. I am happy because I will be attending the day-care center where I will receive a rich lunch and snack, and the teachers will teach me Bible stories.” With every letter, photo, and update, the relationship grew more precious to Deana, and she longed to meet Cristian, if only to tell him how much she enjoyed being his sponsor. She never imagined being able to meet him in person, but in the summer of 2012, Deana found herself on a trip bound for Honduras. 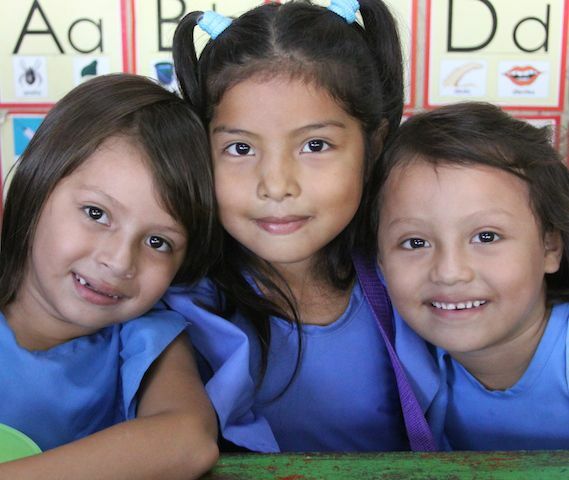 There she met Cristian, his mother, sister, and the director of our Honduras programs. 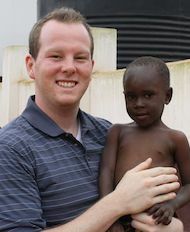 One of the many privileges of being a sponsor is journeying through life alongside a desperately needy child. The financial investment means a great deal, but it’s nothing compared to what is received in return: gratitude, love, and the miracle of being a part of a child’s second chance. Offering the tools to jump-start sustainable initiatives in agriculture is one of the most promising ways we can create lasting change. A farmer with seeds, equipment, fertilizer, and a workable plot of land can feed his family, pay his bills, and help save for the future. 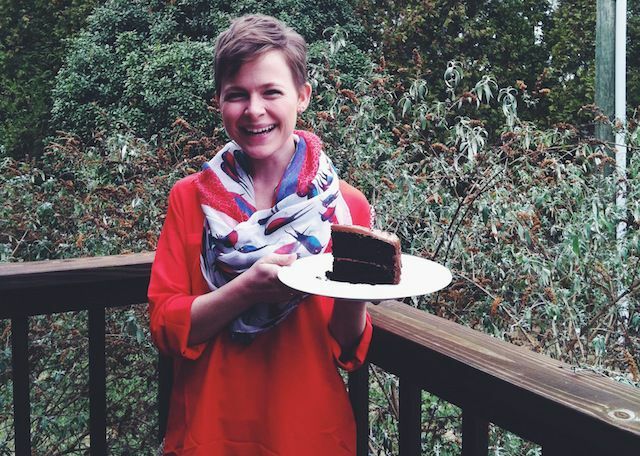 An entrepreneurial widow with a couple of pigs can start a lucrative business. A school with a working poultry farm can help offset school fees and pay for books and supplies. These practical, cost-efficient solutions account for some of the most incredible examples of individual and community transformation we’ve ever witnessed. 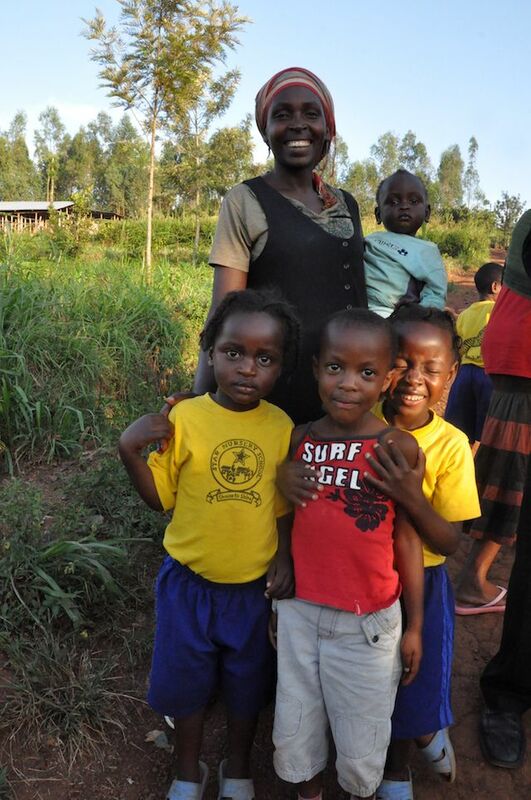 In 2013, 700 children on the campus of Star School in Rwanda received two new, very large residents . . . a pair of dairy cows generously provided through Gifts of Hope. Before long, the two cows multiplied to four, providing plenty of fresh milk to every sponsored child on a regular basis. On average, a dairy cow can produce six to seven gallons of calcium-rich milk a day. Multiplied by four happy cows, that’s 24-28 gallons of milk readily available for a fraction of the cost it would normally take to supply the needs of the school. 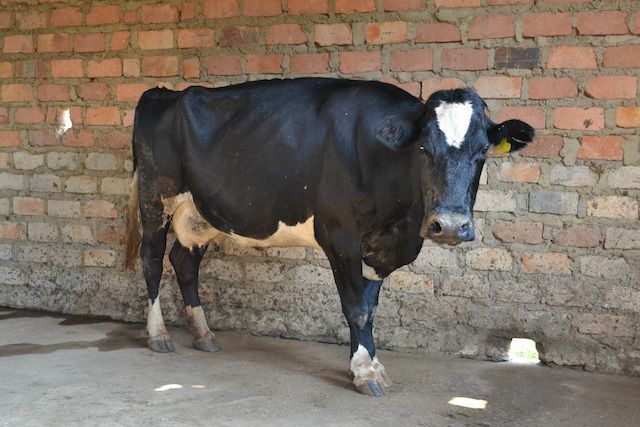 The arrival of the dairy cows has provided a wholesome, reliable source of nutrition, while also allowing Star School to invest in other areas of growth for the future. World Help’s global network of church planters is comprised of some of the most passionate and courageous individuals we have ever known. They are willing to risk everything— their safety, their possessions, even their lives—for the sake of proclaiming the Gospel to the unreached. Properly equipping these great men and women of God requires rigorous programs of training, study, and field experience. After a church planter is strategically positioned for outreach, the true challenge of faith begins. Our desire is to empower and support each church planter to confidently reach entire communities for Christ and establish churches that will shine brightly in the surrounding darkness with faithfulness, fearlessness, and hope. Even in the most unreached and persecuted areas of the world, God is drawing multitudes of people to Himself through the indisputable power of His Word. 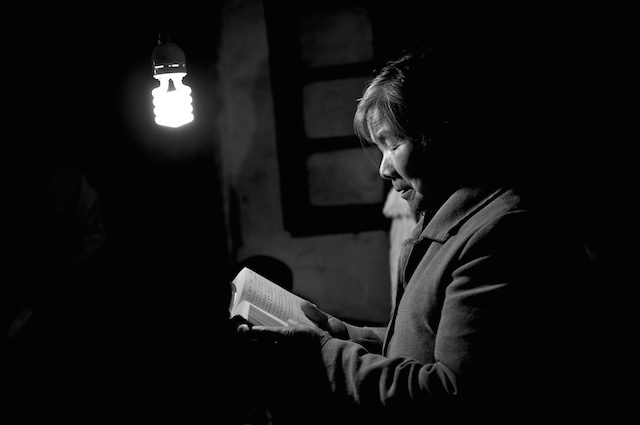 Providing Bibles to our brothers and sisters suffering under the constant threat of imprisonment and oppression continues to be our most effective tool for sharing the Gospel. Our approach to this task continues to grow as we seek out better methods for distribution, the production of portable digital copies, and safeguarding our partners who daily risk their lives so this work can be accomplished. Developing communities often lack the basic infrastructure to facilitate true transformation on a practical level. Without access to clean water, proper housing, buildings dedicated for school and church, and nearby medical clinics, progress is stifled—if not halted—altogether. Providing essential facilities like these is a crucial step in the objective of community transformation. Around the world, treatable illnesses can often become a death sentence. In Haiti alone, 40 percent of the population lives without access to clean water, and even more lack basic healthcare. Thousands of children die every year from the effects of contaminated water and poor sanitation—a tragedy World Help is committed to ending through the construction of medical centers where treatment can be given to those in grave need. In 2013, one part of that vision was manifested before our very eyes. 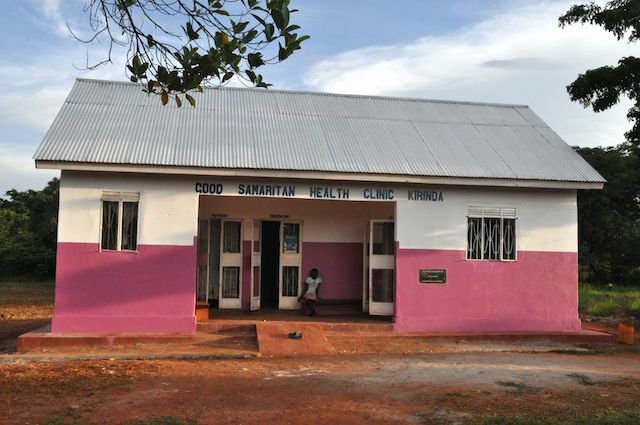 After 12 years of praying, dreaming, and planning, our national partner Danita’s Children, along with World Help, opened the doors to a state-of-the-art medical clinic, which now serves hundreds of children and families. The facility runs a rehabilitation program for severely malnourished children, hosts traveling medical specialists from around the world, and tends to the students of the adjoined children’s home. 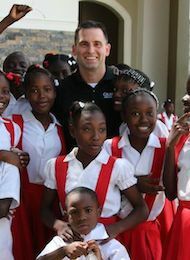 It is a life-saving answer to bold prayers and the result of an unwavering commitment to a healthier Haiti. Giving clean water to a community opens the doors to a world of change. Water is the catalyst for overcoming the cycle of poverty and creating opportunity for growth and progress. Through World Help’s clean-water campaign causelife, we see clean water as more than just a benefit . . . it’s a new beginning . . . a second chance . . . hope for a better future. As the 2013 Change the Present campaign was drawing to a close, the Gangers’ donation came just in time—allowing us to meet our goal to provide 10 Bhil communities with water-retention systems. Through their kindness, and the generosity of many other passionate supporters, 50,000 Bhil people will now have a path to holistic transformation. The nightmarish genocide of 1994 all but destroyed the nation of Rwanda, leaving children orphaned, families dismantled, and communities crippled by fear and hatred. Women who were widowed by the slaughter faced a desperately uncertain future as sole providers for their families. World Help identified an entire community of these widows and their children, and we are committed to supporting their development. In partnership with Liberty University, who has been serving the widow’s village since 2011, we have built a preschool for the children in the village. 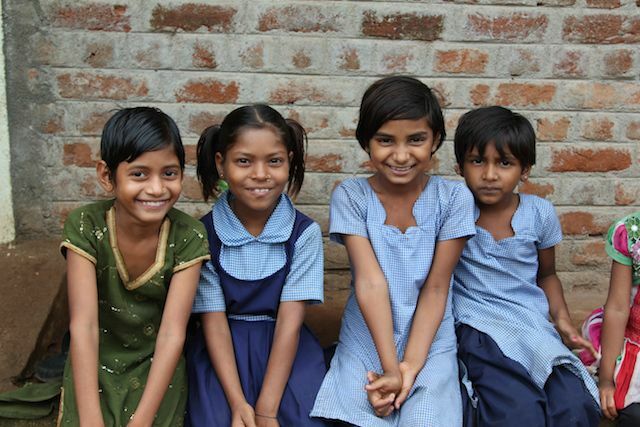 More than 40 children now attend the school, enabling them to jump-start their education. While children are learning in a safe, structured environment, their mothers are also taking steps forward by learning a trade in one of our vocational programs. The pre-school stands as a proud symbol of restoration, a way out of poverty for children who have lost everything, and the building of a better Rwanda for generations to come. For Christians living in areas saturated by religious persecution, a church building is more than just a gathering place . . . it is a refuge. Assembling in homes is difficult for large congregations and can elicit harassment from community members. But by establishing places of worship for spiritually oppressed people groups, the body of Christ is strengthened and eternal investments abound. In the mountains of India where Shyamlal lived, Hindu idol worship was practiced by virtually everyone in the community. His wife was plagued continually by nightmares and sickness; and tragically, the couple’s daughter died unexpectedly from a fever. In 1997, a group of Christians visited the community and shared the Gospel with Shyamlal and his family. The transformation was immediate. His wife’s nightmares stopped and the sickness ended. “I felt loved for the first time in my life.” Strengthened by his newfound joy in Christ, Shyamlal began telling everyone he knew about the Jesus who had changed his life. Eventually, over 150 people from the village became Christ followers because of one man’s testimony. 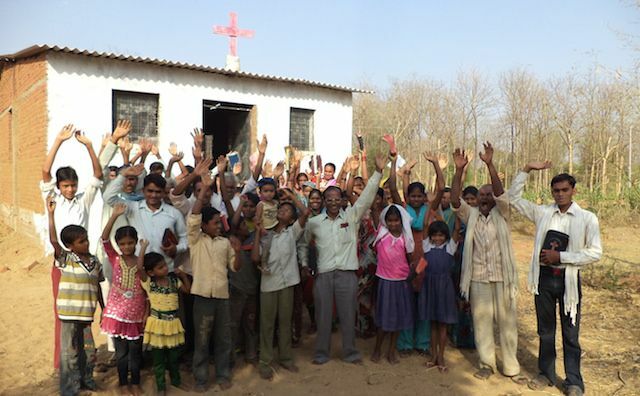 World Help partnered with Shyamlal in 2013 to provide the first church ever built in the village. Seventy families are now able to worship God in this brand-new facility, which serves as a beacon of hope and healing for miles around. World Help isn’t just an organization; it’s a mosaic of real people who believe in the worth of serving others with dignity and purpose. We’re a network of international partners, staff, and supporters—people from around the world with a God-given desire to impact eternity. World Help is the child who sells lemonade to raise money for clean water and the business owner funding projects. World Help is stay-at-home moms campaigning on social media, bloggers who lend their words and their voices, caretakers who serve nutritious meals to our sponsored children, and church planters who risk their lives to share the Gospel. 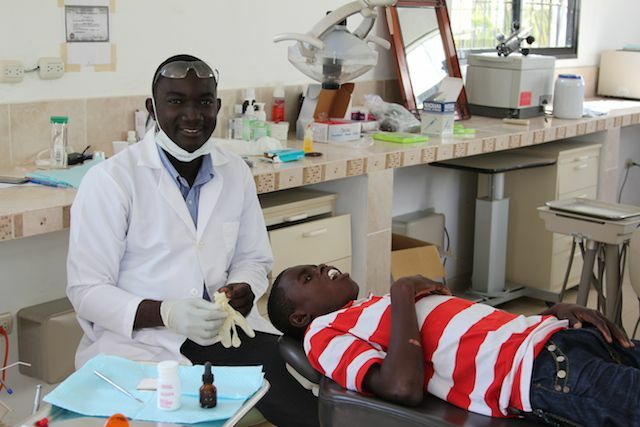 World Help is the church in rural America that comes together to build a medical clinic. World Help is you. World Help is us. 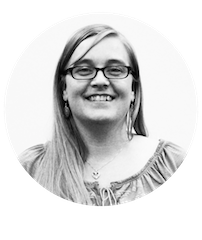 She believes that prayer was answered when they were both invited to travel with World Help to Haiti in March 2013. While there, they met their sponsored children, witnessed the dedication of a new medical clinic, served impoverished families from the local community, and so much more. Robin and Craig Chilton are long-time friends of World Help and continue to go above and beyond in their commitment to serve impoverished communities with us. This dynamic couple partners with us by hosting an annual 5K event in their hometown area of Ridgefield, Washington, to raise funds for clean-water projects. 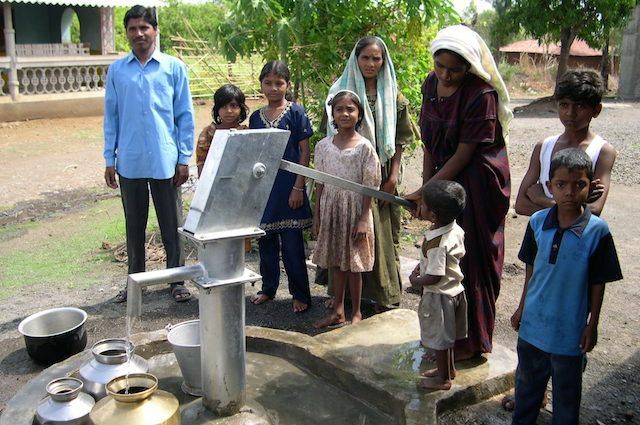 In 2013, proceeds from the race funded two wells, providing safe, clean drinking water to hundreds of people. 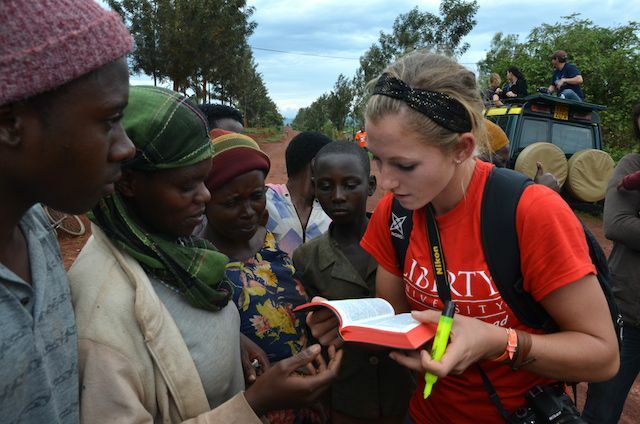 Always eager to be the hands and feet of Jesus on the ground, they have accompanied our teams on a variety of international trips from Guatemala and Peru to Uganda, Rwanda, and Haiti. Experiencing the needs of people firsthand inspired the Chiltons to share the opportunity for impact with their closest friends and family. In 2013, the Chiltons also hosted a benefit banquet with “Partners in Hope,” dedicating the proceeds to World Help’s projects globally, including two homes of hope and a medical clinic in Uganda. Each home will provide children of Northern Uganda with love, safety, and the consistency of regular personal and spiritual development. The accompanying medical clinic will offer the promise of accessible healthcare to many of these same children as well as the residents of the surrounding community. 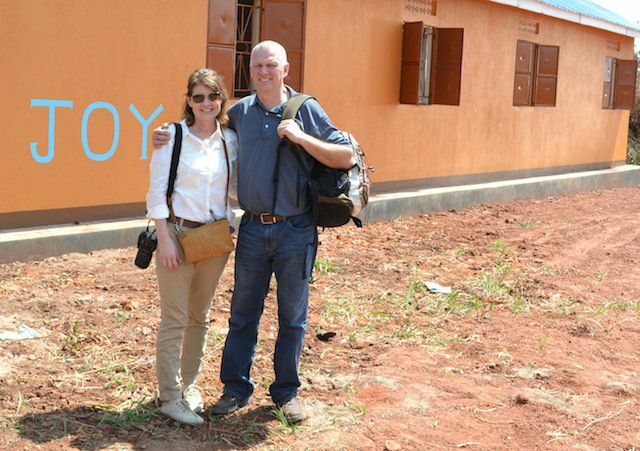 Having just returned from a vision trip to Africa, the couple was able to visit the building sites for each project. 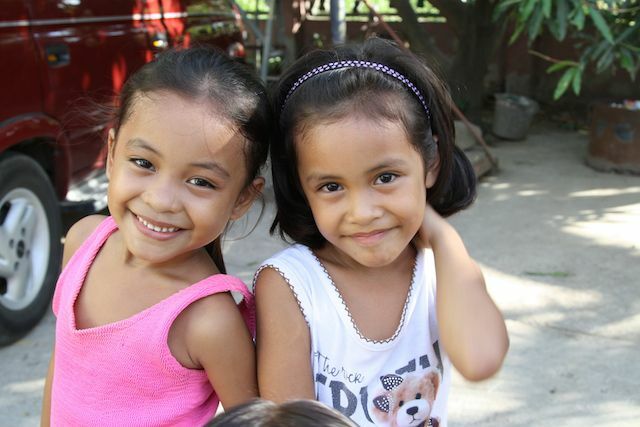 “As Christ followers, we should always be looking for opportunities to serve the orphaned and the fatherless. It brings us great joy to know that these children will finally have a place to belong. It blesses us beyond words to play a small part in their transformation,” said Robin. Robin and Craig’s purposeful investment in individuals and communities has been nothing short of extraordinary. We are privileged to partner with such passionate supporters in an effort to love and serve the needs of people around the world. UK-based couple Matt Vinters and Rachael Stanley decided to turn one of their favorite pastimes into a way to support hurting Syrians. As avid hikers, they set a goal of visiting 12 very challenging hiking destinations in the course of a year. But instead of asking for sponsors, they invited others to make donations to a digital fundraiser they launched through World Help’s online giving platform. To keep the momentum going, they blog monthly about their adventures on their giving page. “If we can help with just a little of our money to feed, clothe, and shelter some of these desperate people, then it will hopefully go some way to help them,” the pair writes on the online platform. One defining characteristic of World Help’s staff is a sense of eagerness to engage creatively in all aspects of our work, even on their own time. Our team members voluntarily host fundraisers, speak to churches and college groups, and participate in advocacy campaigns of all shapes and sizes. What’s incredible about this involvement is that it doesn’t spring from a sense of duty, it’s simply an outpouring of a deep personal calling to invest in people—all people. Behind every vision of success is a group of people who are passionate about bringing dreams to life. Our staff is the heartbeat behind every logistical detail. They are the engineers of projects and programs, the cultivators of relationships that allow our family of supporters to grow, and the expertise behind our visual and written storytelling. Our desire is to curate a vibrant and collaborative work culture where every staff member can actively engage in our mission. 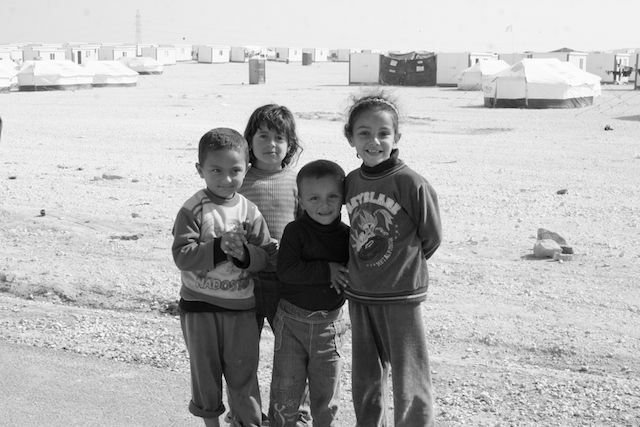 In September 2013, the World Help bloggers team spent a month advocating for the needs of Syrian refugees. But they wanted to get involved on a more personal level. Acting on their convictions, the bloggers started a campaign to provide life-saving aid to refugees. It seemed like a daunting task at the start. But while Claire shared about the bloggers campaign with her twin sister, Chloe, she had an unexpected light bulb moment. It was settled. In lieu of gifts, they asked for help in alleviating the suffering of refugees. The girls posted about the bloggers’ campaign on Facebook several times throughout their birthday. 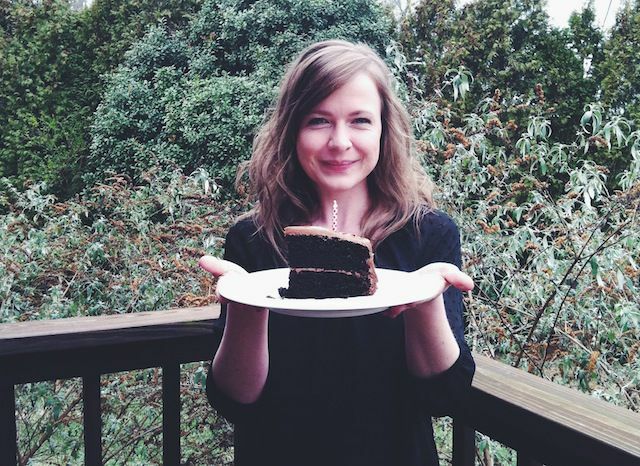 By the end of their 26th birthday, the girls had completed the bloggers’ goal to raise $1,200 worth of lifesaving aid. Jumping up and down in celebratory fashion, the girls agreed it had been their best birthday yet. 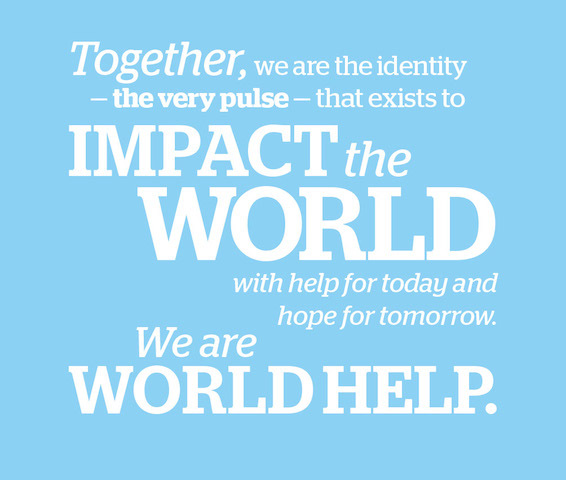 The functionality of World Help’s programs is built on the foundational model of international partnership. We choose to work with and empower seasoned national partners who are well-acquainted with the language, geography, and people within developing communities in need. This cultural insight is absolutely integral to producing effective and sustainable transformation and is the lifeblood behind every measure of success we have overseas. Our work with refugees along the Syrian/ Jordanian border is as complex as it is dangerous. Unstable government structures and collapsing social systems have caused tensions to escalate and desperation to grow. Isam Gaddas, our lead field strategist in Jordan, has been the mastermind behind each of our aid initiatives in the region. Isam’s cultural awareness has proven invaluable in navigating logistics, identifying families in need, and effectively distributing life-saving supplies as quickly as possible. Isam has been a faithful partner of World Help, enabling our reach to grow amid some of the most urgent times in recent history. 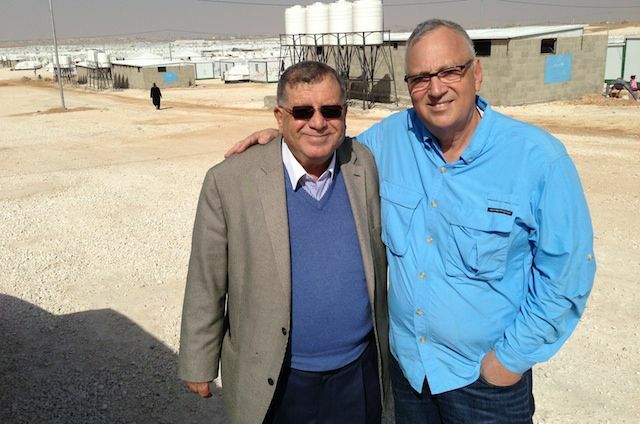 His leadership has translated into thousands of lives saved and countless hearts uplifted with hope.We are continually grateful for Isam’s commitment to the Syrian people and for the sacrifices he has made to impact those who need help most. 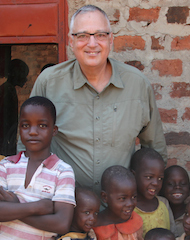 Vernon’s visionary leadership fuels the creation and development of every facet of World Help. 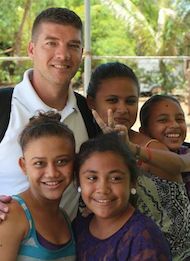 He travels extensively yearround to oversee our strategic projects overseas, invest in the growth of partners, and personally introduce donors to the needs of impoverished communities around the world. Vernon is also a renowned speaker on college campuses, churches, and conference venues nationwide. In his free time, you can find him at the ball field with his wife, Patty, cheering on their grandsons. 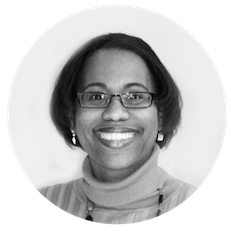 Noel’s extensive expertise in the areas of advocacy and engagement has propelled World Help to unprecedented levels of growth and exposure in recent years. 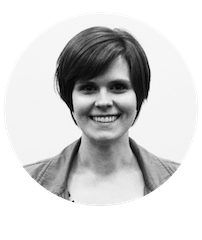 She personally spearheads both causelife and Operation Baby Rescue initiatives, playing an active role in campaign planning. 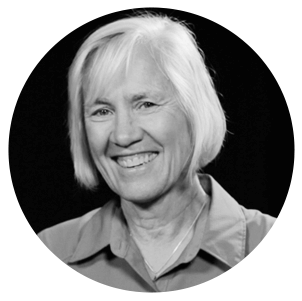 Noel regularly takes the stage for speaking engagements and advocacy events around the country and has been widely recognized for her groundbreaking book Awake: Doing a World of Good One Person at a Time. 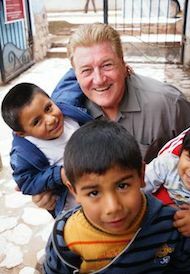 Tom’s commitment to our global church planting efforts has enabled the Gospel to go forth to some of the most unreached and persecuted areas in the world. His deliberate work to forge strategic partnerships and improve current programs has paved the way for millions to experience the hope of Christ. 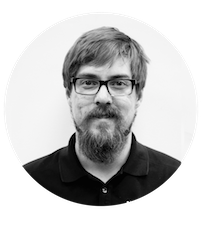 Working closely alongside Vernon, Tom’s passion is to communicate the vision of World Help to individuals and churches in search of meaningful ways to make a difference. David’s mastery of organizational logistics, financial stewardship, and day-to-day operations enables World Help to function efficiently and effectively on all levels. Harnessing his love for sports, David emphasizes teamwork and intentional communication in and between departments, galvanizing our staff together on a mission for excellence. 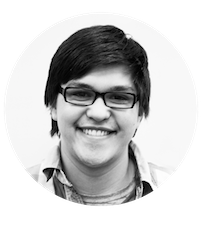 Allyn’s incredible talent and passion radiates through every aspect of World Help’s creative vision, expertly crafting visual media campaigns, overseeing content production, and conceptualizing design for innovative print pieces. His love for excellence and eye for detail has propelled World Help’s communications presence to new heights, sharing a vibrant vision of help and hope through his unwavering commitment to artistic distinction. Noah is an initiator of progress, growth, and development opportunities needed for World Help’s influence to broaden and mature in every area. His experience in marketing, brand positioning, and digital presence has advanced key programs and initiatives, while producing a highly engaged contingent of advocates and supporters. His ability to integrate intelligent, cutting-edge technology to benefit our supporters continues to be a crucial component to our future success. Rev. Tony Foglio Sr. Chairman, Rev. Chuck Carver, Jonathan Chambers, Craig Chilton, Jerry Collins, Rev. Jim Foglio, Joe Foglio, Rev. Tony Foglio, Jr. Rev. Bob Hart, Victor Hester, John Midose, Rev. Shawn Mitchell, Bill Murray, Ed Ploeger, Rev. Butch Pursley, Greg Pyke, Curt Streelman, Rev. Kyle Wall. Trust is the thread that holds our organization together. Practicing total transparency builds confidence in everything that we do. 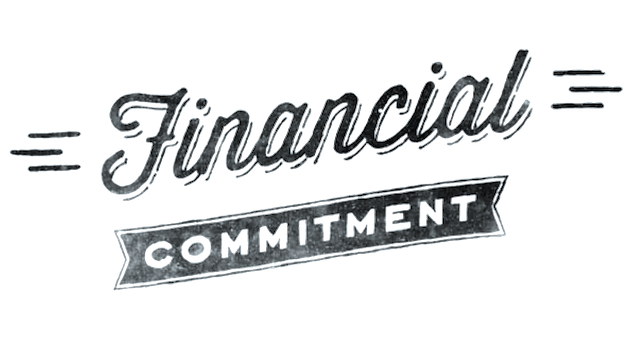 We are committed to the highest standards of ethical and financial accountability and we always take the high road.  Our supporters are informed of the impact of their gifts and the effectiveness of our projects and initiatives. Our reputation not only says who we are, it serves as a marker for where we are going. 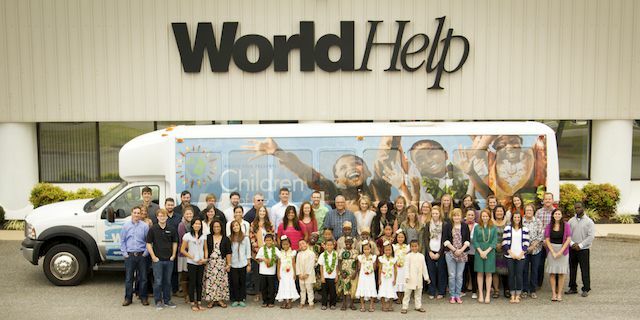 World Help is committed to upholding the highest standards of financial stewardship and ethical accountability. 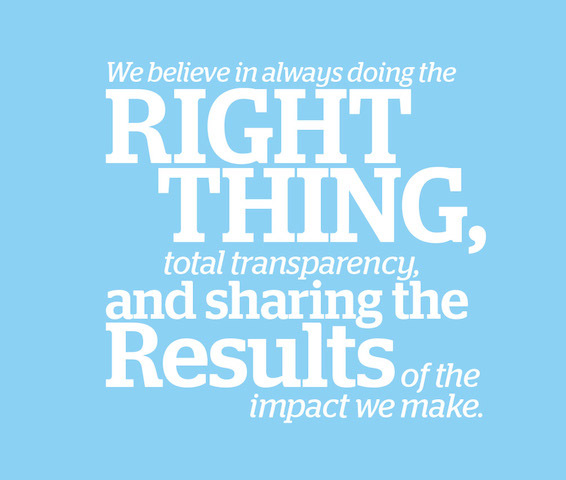 We believe in practicing transparency in all we do—from sharing the results of our impact with supporters to providing detailed proposals on the advancement of upcoming projects. To further reinforce this commitment, we submit ourselves to guidelines of independent auditors and affiliates, as well as several leading nonprofit financial accountability groups, including the Evangelical Council for Financial Accountability (EFCA) and Ministry Watch. We also align ourselves with the Accord Network’s Principles of Practice for the express purpose of implementing the highest standards as a development agency. Communicating our intentions—both financially and organizationally—to our supporters continues to be our utmost priority. In establishing and maintaining this vital trust, it is our hope that every donor, every staff member, and every participant in our work will be fully aware of the impact of their contributions. 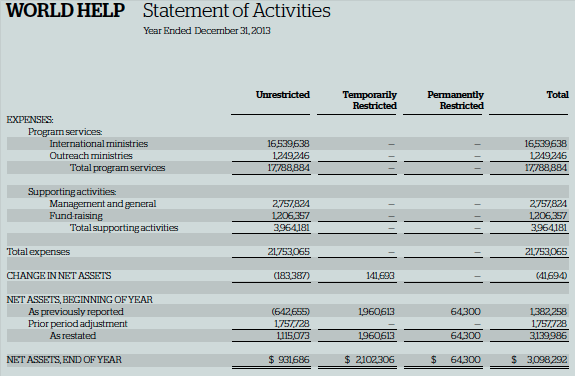 We have included selected financial statements from our 2013 audited financial statements (click to view large version). 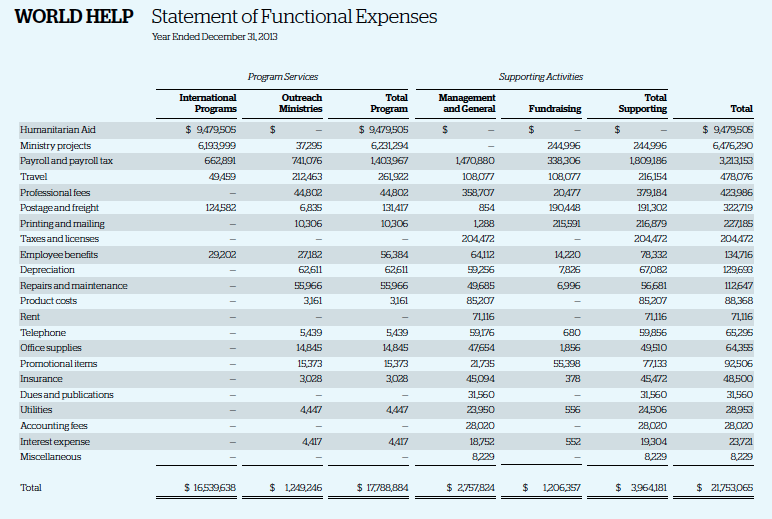 For a complete report, please visit worldhelp.net/financials or request a hard copy by calling 800-541-6691. 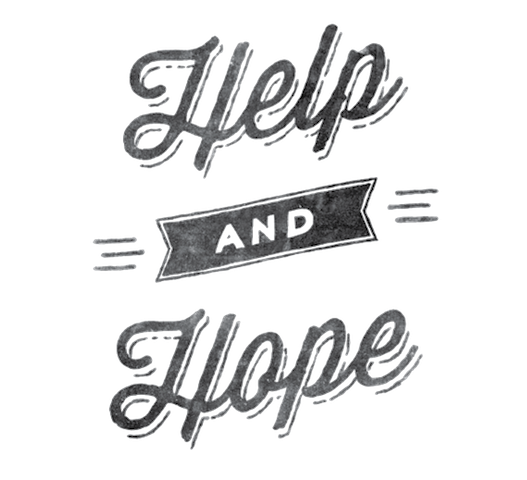 World Help was created in 1991 as a faith-based humanitarian organization that exists to serve the physical and spiritual needs of people in impoverished communities around the world. By working with national partners in strategic locations worldwide, our desire is to sustainably invest in the development of people—body, mind, heart, and soul. We believe that all people matter to God and have been created to join in His redemptive story. The revolutionary compassion Jesus demonstrated compels us to reach beyond Sunday’s four walls and into the heart of hurting communities. In all we do, we aim to honor God and serve people made in His image with dignity and excellence.